NEWS - Coast Guard Food Bank: Puget Sound Coast Guard Families Need Our Help! For 15 years I worked as a communications professional in the high tech industry for companies such as Summit Software, Microsoft, Vulcan, Primus Knowledge Solutions and others. In 2007 I joined my husband at Davis Law Group to help revolutionize how law firms serve and communicate with their clients. My goal is to make sure that you are consistently receiving the highest quality client service from everyone in our office---receptionists, paralegals, legal assistants, and attorneys. We want you to understand exactly what we are doing to manage your case and to ensure that you get fair compensation for your injuries, harms and losses. I have had a life-long interest in highway and auto safety issues. It started when I was a small girl hanging out in the service department of my grandfather's car dealership where I frequently saw accident-damaged vehicles. As a teenager I worked Saturday's at my father's insurance agency where, of course, automobile collisions where always a topic. And when a high school classmate died in a drunk driving crash my public safety zeal was solidified. I guess it's not surprising that today, after a 15+ year career in the high-tech industry, would dedicate so much of my time to traffic safety advocacy. I am an active member of the Washington State chapter of Mothers Against Drunk Driving (MADD) and work as the director of operations for Davis Law Group--side-by-side with my husband in his civil litigation law practice fighting for the legal rights of injury victims and their families. I am dedicated to working with Washington State officials to promote laws, policies and programs that prevent motor vehicle crashes, reduce injuries, and save lives. I was first touched by the impact of drunk driving when I was a teenager living in Kentucky and several of my high school classmates were injured and one killed in a drunk driving crash that took place shortly before graduation. A few short years later 27 people were killed by a drunk driver that crashed into a school bus in Kentucky. These tragic 'accidents' would have a profound impact one me. When I learned just how big the drunk driving problem is in Washington State I felt called to take an active role in the effort to reduce impaired driving in my community. So I became a supporter of and active volunteer in the Washington State chapter of Mothers Against Drunk Driving MADD). 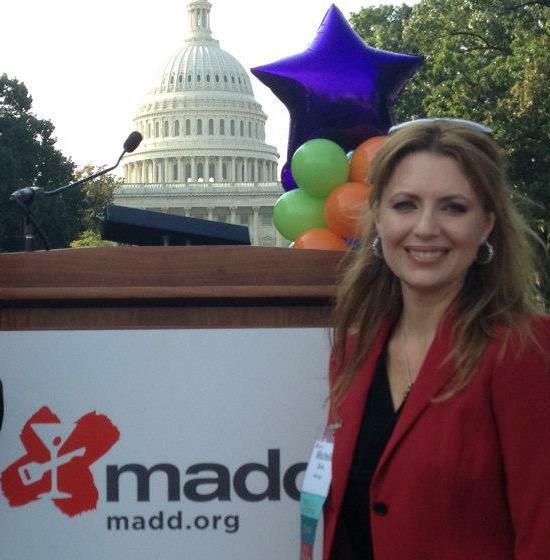 Mischelle Davis is one of the founding members the MADD Washington State Advisory Board. The state advisory board provides leadership and strategic guidance to MADD in Washington State. The board helps determine how to best implement programs and services to broaden MADD’s operation and funding base and increase capacity through the building of partnerships in Washington State. 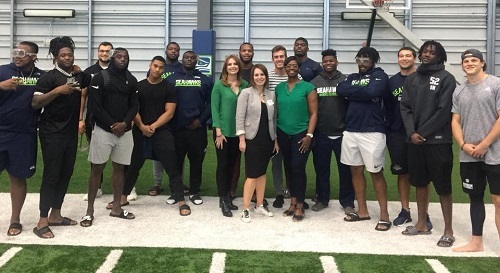 For the third year in a row, Mischelle Davis presented at Rookie Success Camp, a series of educational programs delivered to the incoming Seattle Seahawk rookies. 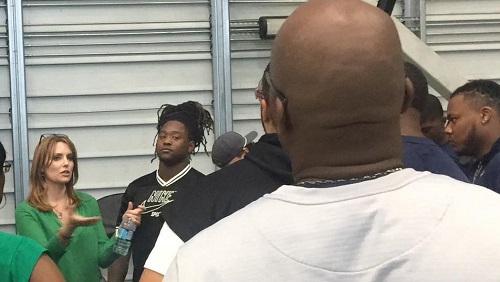 Mischelle and other MADD volunteers spoke to the rookies about the dangers of drinking and driving and the tragic consequences it can have on their lives and the lives of others, along with the permanent damage it can cause to their careers. My husband and I are thankful that owning and managing our own business gives us the flexibility and resources to give back to our community. I manage all of the community outreach programs at Davis Law Group such as: the Davis Law Group School Supplies Gift Program; the Davis Law Group Scholar Athlete Program; our Viral Video Scholarship Contest; the Davis Law Group Hit-And-Run Rewards Program, our support of Washington State Mothers Against Drunk Driving, and the firm's annual holiday program providing gifts to homeless children.